The moment I saw these glass chips on the shelf at the craft store, I couldn't put them down. The color is such a lovely shade, I just had to think of a project that I could use them. So, here's what I came up with! 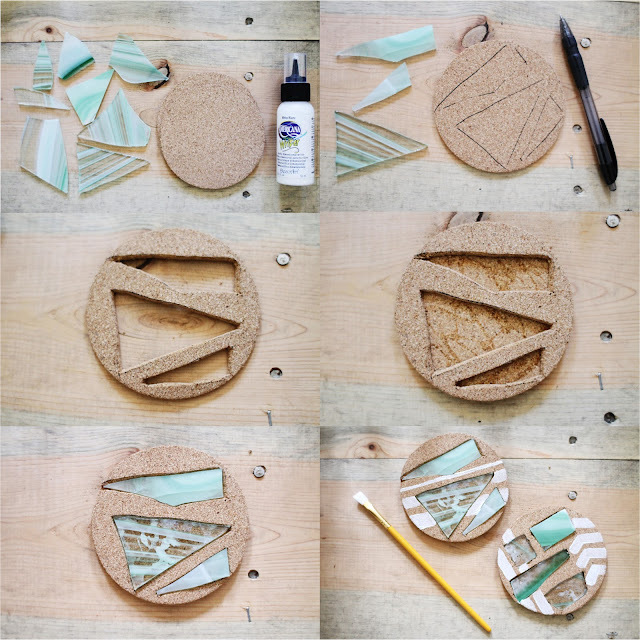 Take a look..
Supplies: Stained glass chips, circular cork coasters, paint. Pantry Supplies: Paint brush, sturdy craft glue/glass glue, exacto knife (or scissors) pen. First, select a few glass pieces (I bought a large container of different glass chips), and trace them onto the coaster. Next, using an exacto knife (or scissors), cut out the glass stencils.Then, glue the coaster on top of another coaster. Once it's dry, wedge the glass pieces into the cut outs, and glue them in place. Lastly, paint designs throughout the coasters, and let it dry. Hope your Monday has been extremely wonderful. this is brilliant! my husband is always finding really pretty stones I never know what to do with this would be perfect. Thanks for sharing! mm super excited to make some for the living room! ok. i lOVE this. so much. I paint my plain circular cork coasters. But your idea is cool too. 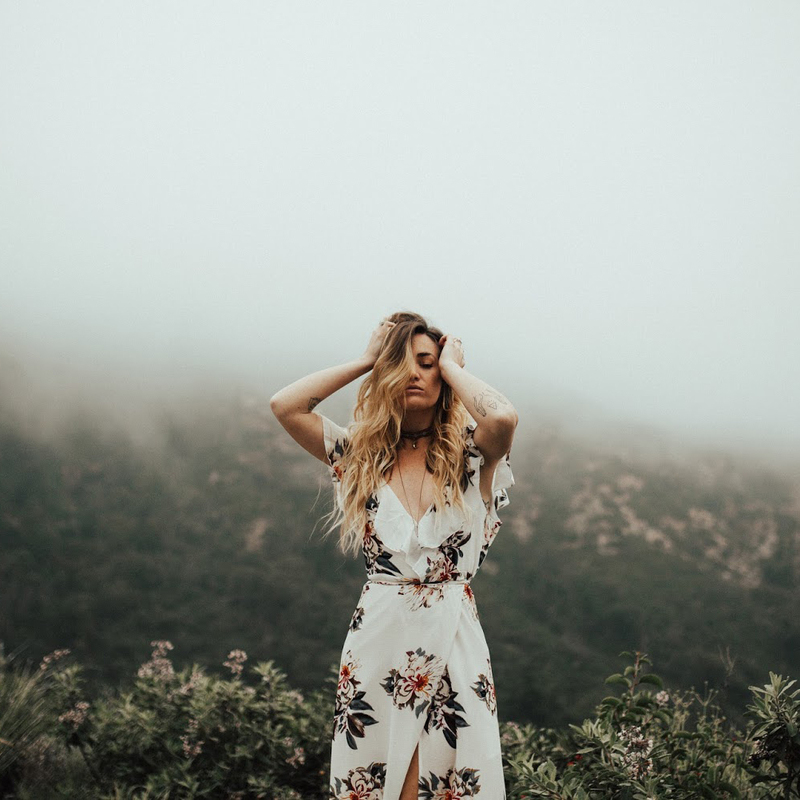 Gorgeous DIY Kensey, what a great idea and you really a great job executing this DIY! adore these! Thanks for sharing. so creative. these are gorgeous. Such a great idea!!!! Great idea Kinsey, I love how it turned out! This idea is probably one of the best I've ever saw! I LOVE it! These are so fun :) It reminds me of a project I did in high school with glass shards in different colors and shapes. 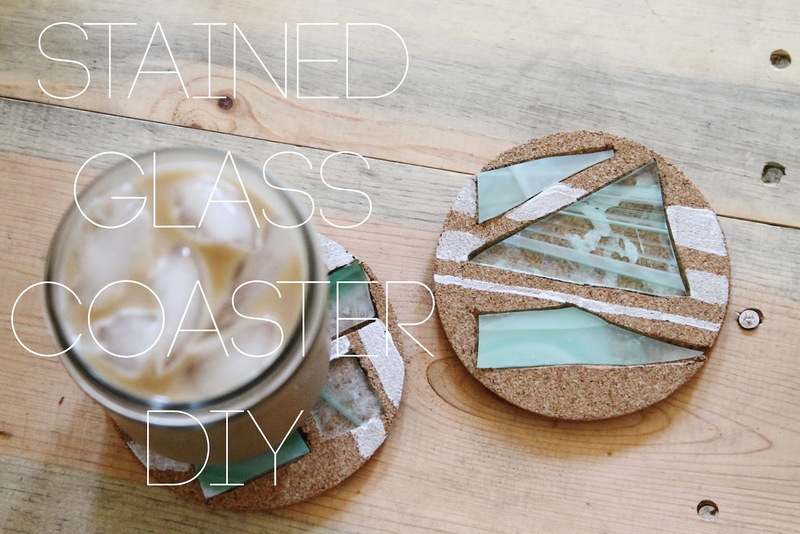 That DIY Stained Glass Coasters is so awesome. This must be included with my project plans next year. I have a passion for DIY projects.